Tech is the biggest push in the schools today. So as future teachers, we are always looking for apps that we can use to help us in our career. One place I recommend anyone to go to is. Tech EDGE. The individuals who created the YouTube channel have spent hours of their time to test apps that could be used in the classroom. OVER 200 hundred of them. I really enjoyed just browsing through the videos because there is literally anything for every content. Below are just three that I will use as a teacher. Google Slides by Google, Inc. 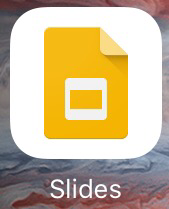 The first of the three apps that I chose was the Google Slides. If you are familiar with h PowerPoint then this app will be easy for you to use. The basic outline of PowerPoint tools are the same with Google Slides. The biggest difference, and the reason I will use this app in the classroom, is the power points are online. Since the file can be put online, two things are now available. The first is the convenience of having the file anywhere. You don't have to worry about the caring a flash drive if you want to work on the project at home or in school. It is also a fail safe if your computer crashes, you can still access the file. The other benefit, is the ability t have multiple people edit the file at the same time. This is perfect for group projects. It even will allow the teacher to make comment to the students work. Perfect for projects in the classroom. And the best part is the app is FREE!!!!! Curiosity: Daily Facts & Knowledge Discovery by Beacon Solutions, Inc. The old saying curiosity killed the cat is a saying that I never really liked. I am a curious guy who likes to learn random facts. So I have a saying that is curiosity killed time with knowledge. 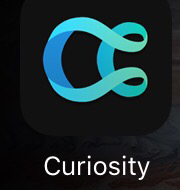 Going through the Curiosity App, I started to kill lots of time. Each article has a title that hooks you right away and makes you read it. And the good news is the group adds more articles on a daily basis. The articles range from all kinds of subjects. Farming and Agriculture, to history and todays culture. The thing that I am most excited for is how to incorporate this with my students. I believe this could give them so much information. So what I will do is if a student is absent, they must pick an article and write a summary on what it was and their thoughts. When they turn in the assignment they will get their full daily points. Pocket Points™ by Pocket Points, Inc.
​Phones and iPads can be great in the classroom, but they can be a curse. I will be honest and say that in the past I have used my iPad to check Facebook instead of paying attention. SO how can we motivate our students not to use their phones unless we are using them in the classroom? The answer is to use Pocket Points. This app monitors the mobile devices use during class time. When it is not in use, the more points that accrue. Once you have so many points then you can use them around your communities. The points can add up to discounts to gift cards to even free food. Awesome way to keep the students on track in the classroom.